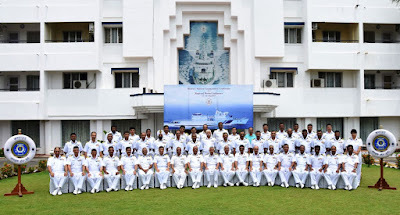 The Coast Guard District and Station Commanders and Works conference was conducted from 17 Aug to 19 Aug at Coast Guard Regional Headquarters (East) Chennai. 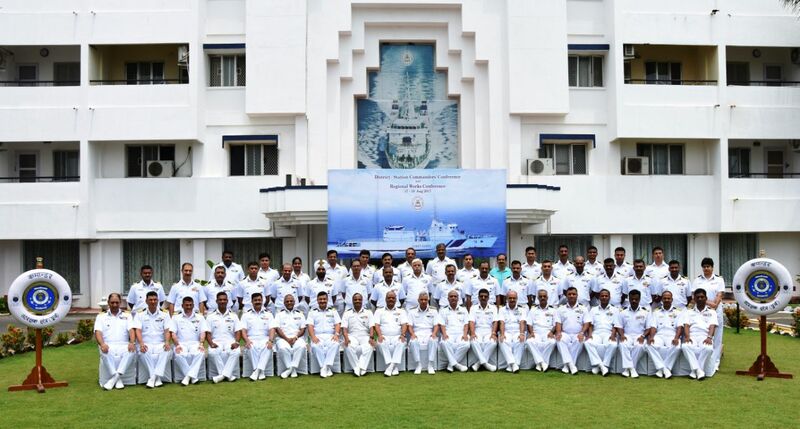 The conference was attended by all the Coast Guard District and Station Commanders from Andhra Pradesh, Tamil Nadu and Puducherry and senior officers from various Coast Guard units. During the three days conference, Commander Coast Guard Region (East) Inspector General Rajan Bargotra, reviewed the operational preparedness of the Region with emphasis on coastal security, pollution response and infrastructure development to meet the ICG mandated charter of duties. During his opening address, the Regional Commander sensitized the District Commanders on the present security scenario in the states of Andhra Pradesh, Tamil Nadu and Puducherry and emphasized the importance of working in tandom with all the stake holders of coastal security mechanism. The role of fishing community as eyes and ears towards coastal security was also highlighted.